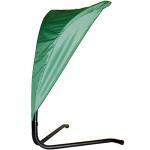 Find inner peace with the Superweave hammock chair from Green Eggs and hammocks. This dual-point woven chair swallows you with comfort and relaxation like you've never felt before. The soft seat is made from 100% natural cotton for maximum durability and relief. Hardware is included for effortless installation wherever you can attach overhead supports. 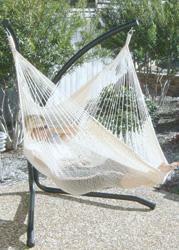 Just as easy as it is to install, the hammock can be removed without a hitch. Once you sit in this hammock chair, you'll never want to get up again. "I first ordered two knives as Christmas presents. After ordering, I received an e-mail telling me that one knife was not is stock. So I cancelled the first order and re-ordered two different knives. This could have led to confusion, but it was all handled very professionally. I received my orders promptly and in good conditiion. Good service as far as I am concerned."